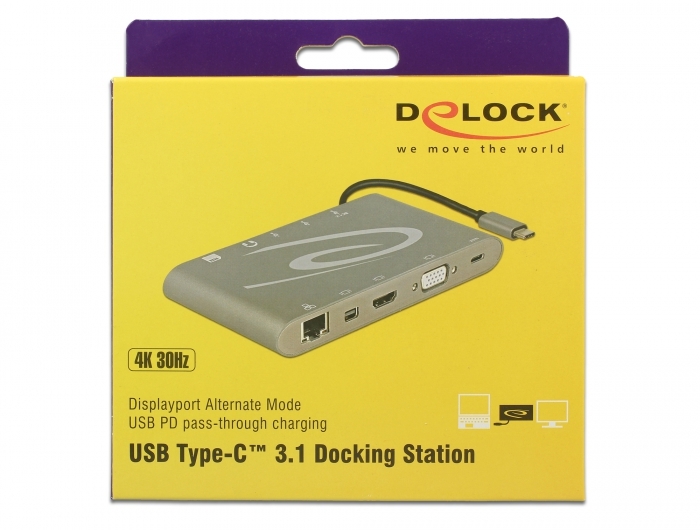 This docking station by Delock can be connected to a computer with a USB-C™ Alt-Mode or Thunderbolt™ 3 port and provides a variety of interfaces. 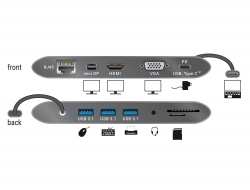 Two monitors can be operated simultaneously at the mini DisplayPort and HDMI outputs, alternatively a single monitor at the VGA output. 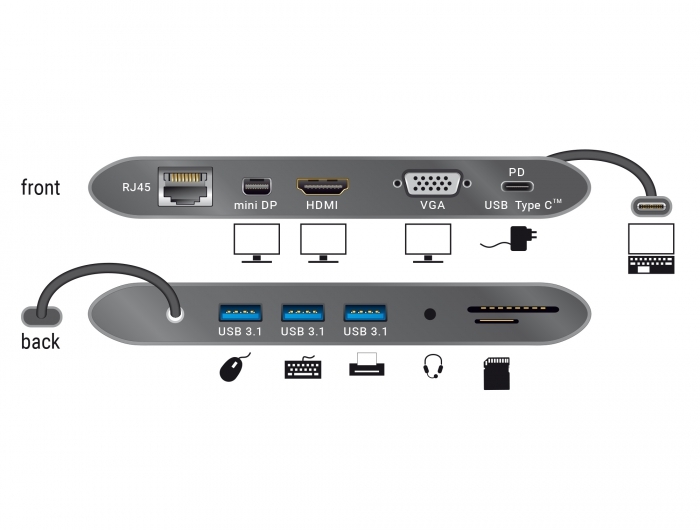 Three built-in USB Type-A ports allow the use of peripherals, and connections for a headset and gigabit network, as well as an SD / micro SD card reader, complete the features. 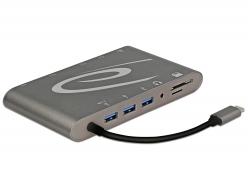 With a USB-C™ power supply, laptops such as the Macbook or Chromebook can be charged during operation. 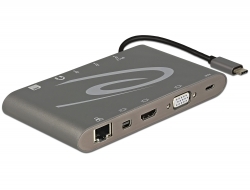 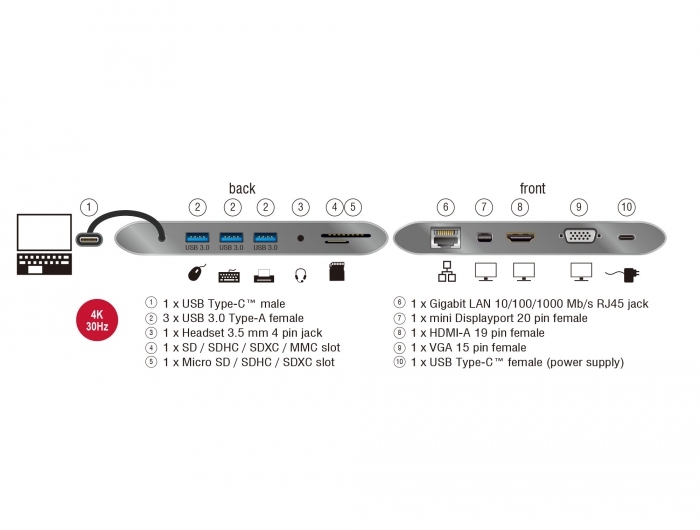 The product is a Multi-Stream-Transport (MST) hub and supports the extended desktop configuration of Displayport 1.2. 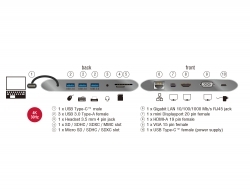 When Mac OS is used, the same image is displayed on both ports (mirrored), it is not possible to use both ports independently of each other.